Combine all of the ingredients into an ice filled cocktail shaker. Cover, shake well, and pour into a Collins glass. 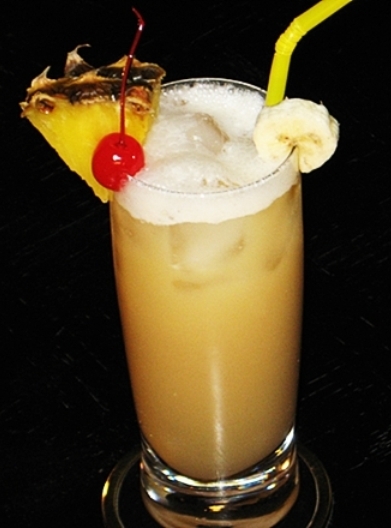 Garnish accordingly, insert a long straw, and get ready to go crazy with your... Coco Loco.